Thursday 16th May 2019 at 7.30pm from Tarland. Seniors (16 on the day and over) 9.5km, 450m climb. 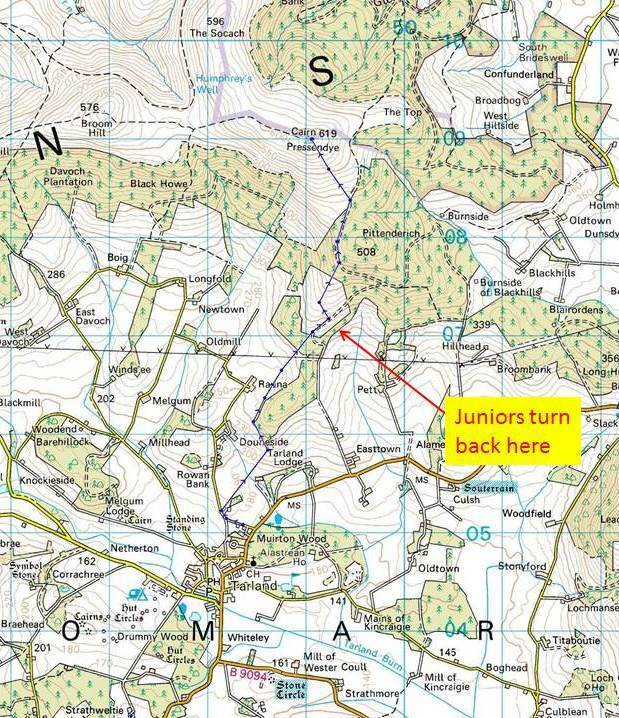 Juniors (12-15) 5km, 165m climb. Entry fee £2.50 seniors, 50p juniors. Records: Male 39.30, Rob Sinclair (Insch) 2016, Female 46.43, Steph Provan (Deeside) 2016 and Anna MacFadyen 2017. A new race in 2014, and the first in the Cosmics + Deeside Summer series. Up and back by the same route, it’s a tough climb but the paths are good so it is a fast race. The route will be marked. Great views of Deeside for those in less of a hurry. 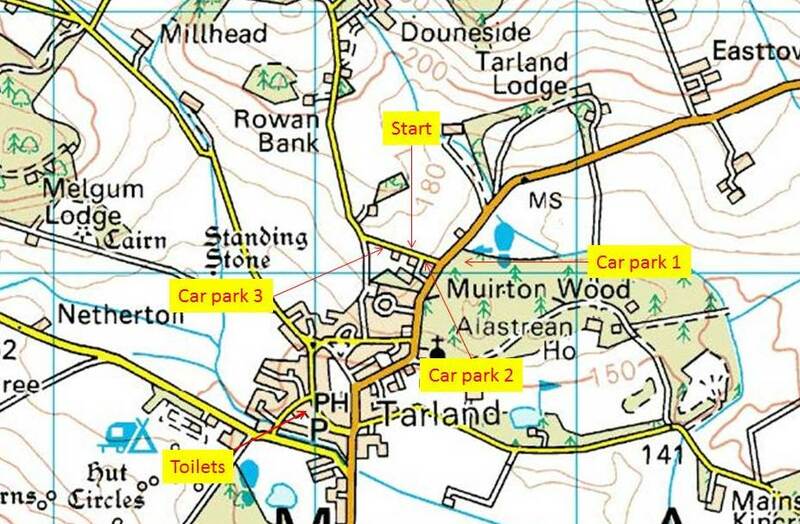 There are three nearby car parks: in the woods opposite the road to the start (car park 1 on the map), in the estate yard on the left just down this road (car park 2 on the map), and by the estate offices (car park 3 on the map). Please only use this one if the others are full. If all three are full park in the village.